3 ton gantry crane is served as a light duty gantry crane to undertake small and lightweight lifting jobs for indoor and outdoor workplaces such as machine shop, workstation, warehouse and storage yards. The gantry crane 3 ton more often comes in A frame gantry crane on wheels, making the lifting movement easier and more convenient. Our 3 ton gantry cranes fall in a large variety of types to suit different applications, including fixed gantry crane, adjustable gantry crane, steel gantry crane, and aluminum gantry crane. 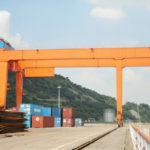 Besides, we supply other types of gantry crane such as rail mounted gantry crane, rubber tired gantry crane, and container gantry cane to meet both small and heavy lifting requirements. Our 3 ton gantry cranes for sale are available in different types and designs. It is a perfect small lifting solution to help enhance production in your workshop or production lines as well as realize a safe operation. The aluminum gantry crane provides the most flexible lifting solution for shop, garage and other places. It is the most commonly used light duty gantry crane due to its stable performance, solid construction, light weight , low noise, and reasonable cost. The gantry frame is made of aluminum, which has high corrosion resistance and long service life. The 3 ton aluminum crane makes the daily lifting work easy and saves a lot of time. Both manual operation and electric type are optional for different uses. This 3 ton gantry crane is made of solid steel structure, widely applied in many fields to make the lifting of small and medium sized loads much easier. It is mounted on wheels to achieve a flexible movement. The steel gantry crane can also be equipped with stainless steel manual or electric hoist according to your particular working environment. This small gantry crane has easy assembly and disassembly, and only requires one or two workers to complete the installation work. It is also easy to resettle in another workplace so as to realize a high utilization of the equipment. Fixed gantry crane, as the name implies, is designed with fixed height and span. It is commonly applied in machine shop, workstation and garage. This 3 ton gantry crane features simple structure, low cost, easy maintenance and stable performance. Adjustable gantry crane provides a convenient adjustment of the crane height and span. The 3 ton gantry crane can be extended into various sizes in order to fit in different occasions. For instance, the maximum size is adaptable for facility with a high ceiling. When the 3 ton gantry crane needs to pass through a narrow doorway or underneath an obstacle, its size can be zoomed out to adapt for the narrow space. 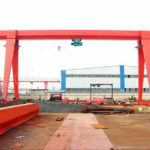 We also supply other types of 3 ton gantry crane to suit your wide range of applications and working environments, such as semi gantry crane and telescoping gantry crane. In order to select the right 3 ton gantry crane, you should specify your lifting requirement and working condition. You should consider questions like where will you use the equipment, and what material are you going to handle. If you have any need for gantry crane 3 ton, please feel free to contact us online. 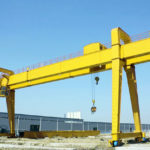 We will help design a proper gantry crane lifting system that best suits your needs. 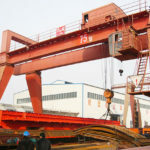 What Are the Benefits of 3 Ton Gantry Crane? As a cost-efficient lifting solution, 3 ton gantry crane is widely adopted in many industries to help improve efficiency in your workshop and save time and labor cost as well. This crane 3 ton can bring a lot of benefits to users. The 3 ton gantry crane has light weight and can be assembled and disassembled easily. The equipment dissembled can make a compact form, which makes it convenient to be packaged and transported across a long distance. 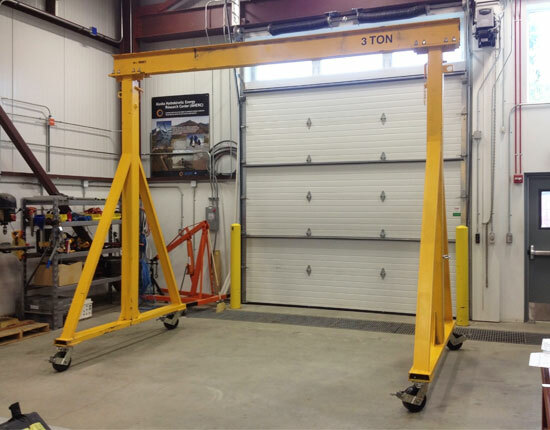 This small gantry crane has simple installation with one or two people to get the job done. The 3 ton gantry crane can move between workplaces to meet different lifting requirements thanks to the mobile design. Different types of casters can be attached to the equipment, allowing it to adapt for different working environments. Besides, the heavy duty casters promote a more stable movement. By adopting adjustable height and span designs, the light duty gantry crane is suitable for diverse workplaces. As the equipment can be wheeled across the whole working areas, it highly utilizes the space to achieve a large coverage. Due to strong mobility and convenient assembly, this 3 ton gantry crane can be reused in other occasions, greatly saving cost for users. 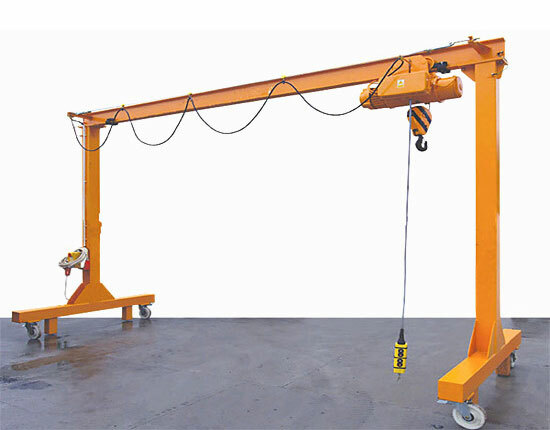 The light gantry crane is generally operated by means of manual or electric operation, which only requires one person to take the job. It has durable performance, and requires little maintenance. 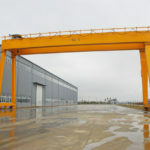 When looking for a gantry crane 3t, you should consider a lot to make the best decision, things like how do you plan to configure your cranes, what are the specifications required for the equipment, do gantry crane suppliers have qualification and good reputation. We have a wealth of experience in supplying gantry lifting equipment and can help make your own 3 ton gantry crane plans. We offer various types of 3 ton gantry cranes and design different options for spreaders and hoists to serve different lifting needs. If you want to build your 3 ton gantry crane plan, welcome to Ellsen for help. 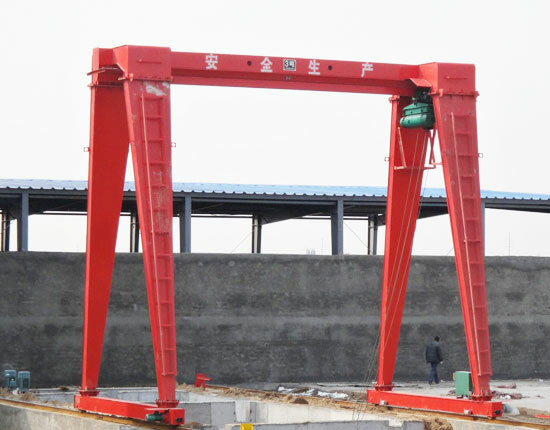 We are leading gantry crane manufacturer in China and have designed and fabricated lifting equipment for many years. In addition to 3 ton gantry crane, we supply many other tonnages to serve your various needs, including 2 ton, 5 ton, 10 ton, 20 ton, 100 ton and more. 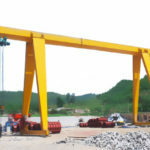 The heavy duty gantry crane can reach several hundreds of tons to cater to your large and heavy lifting requirements. We have rich experience in supplying a systematic service to clients encompassing 3 ton gantry crane design, manufacturing, delivery, installation and maintenance. We have an experienced technical team to help select the best lifting solutions for clients. We keep inducing the latest technology home and abroad and are able to offer custom designs to suit their particular requirements and preferences. 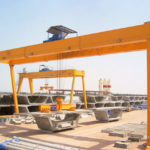 We are responsible for every aspect of our gantry crane equipment, offering a wide range of options for hoists, electric devices, and other accessories. We also pay more attention to small details during production process, such painting and welding. We do our best to ensure the quality of our products. We guarantee a fast and timely delivery so as to keep up with client’s schedule. The 3 ton gantry crane is easy to install, and it can be done according to installation manual. In case of equipment malfunctions, we can assist you to inspect the crane and provide maintenance service according to contracts so as to ensure an ongoing performance. We always strive to provide quality products and best service for clients and satisfy them in the whole order process. To know more about 3 ton gantry crane and related services, contact our sales team online today!